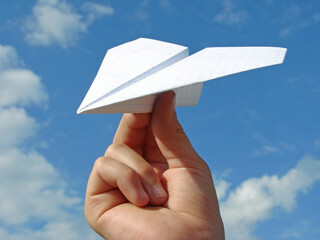 In this activity children design paper planes and devise rules for their class competition and will cover ideas about air resistance and fair testing. A competition at Leeds University discovered Britain's best paper plane. Nicknamed 'Spruce Moose' and designed by student Steve Bond, the plane flew for an impressive seven seconds. This activity gets children designing paper planes and devising rules for their own class competition. Through so doing, they will cover ideas about air resistance and fair testing.